Although you’ll want to luxuriate in its historic atmosphere for longer, set aside two or three days for an unhurried excursion. 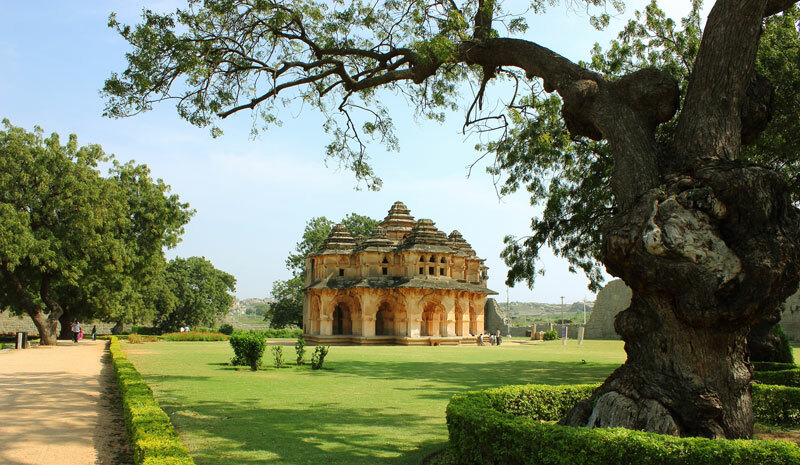 There are so many places to see in Hampi, and The Ultimate Traveling Camp’s opulent tented Kishkinda Camp is a very comfortable base to return to after a full day of sightseeing. It’s also a fantastic hideout from which to spot some of the area’s wild inhabitants—sloth bears, pangolins and leopards, to name a few—and its abundant birdlife. 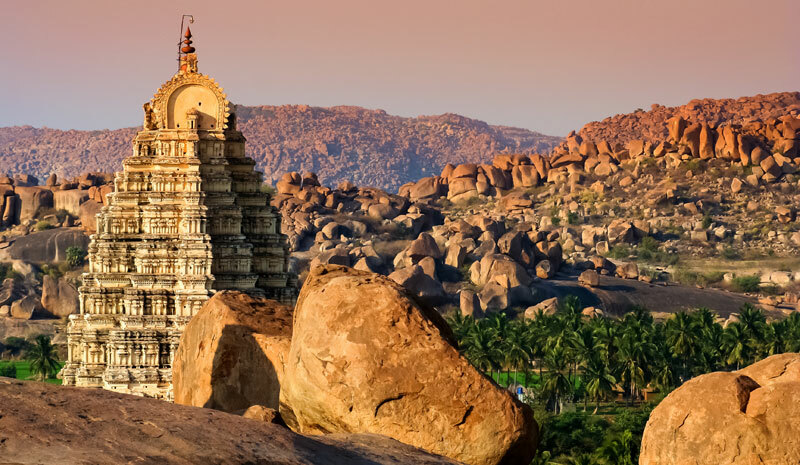 One of Hampi’s most revered places to see is the Virupaksha Temple. 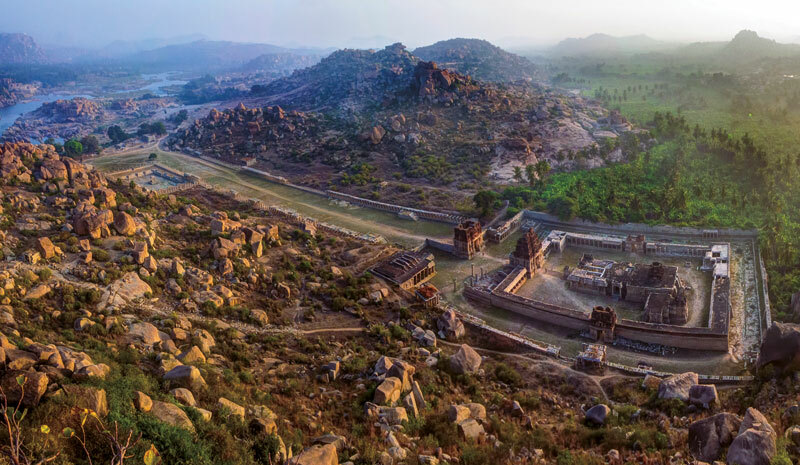 Surviving mainly intact from around the 7thcentury, its towering, intricately carved structures existed at Hampi well before the affluent ruling Vijayanagara Empire made its throne here nearly seven centuries later. The temple continues to be used for sacred ceremonies and festivals, and is the best place in Hampi to see the annual springtime chariot festival, in which Virupaksha’s temple chariot is wheeled through Hampi bazaar in a colorful procession. 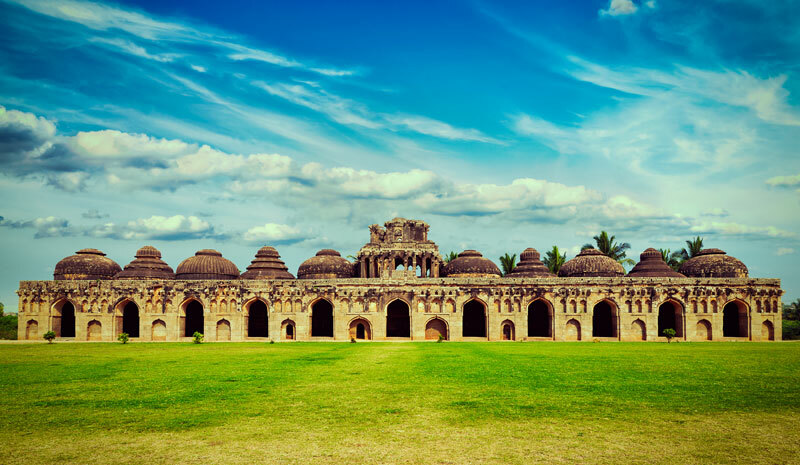 A saunter through the 11 chambers of Hampi’s domed elephant stables offers an awe-inspiring glimpse of the historic empire’s architectural expertise. Along with the temple, it’s one of the few structures to survive intact following the Mughal attack in 1565 that instigated the Vijayanagara Empire’s downfall. Each stable is large enough to house two elephants and offers cool views across the tended lawns in front. 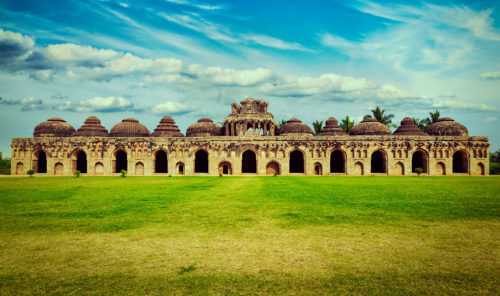 The nearby secluded Lotus Mahal, rumored to have served as a social hub for Vijayanagara’s royal women, is exquisitely carved with Indo-Islamic domes and arches that echo those of the stables. A wander beneath its shaded cupolas gives a thrillingly evocative sense of this structure’s colorful history. 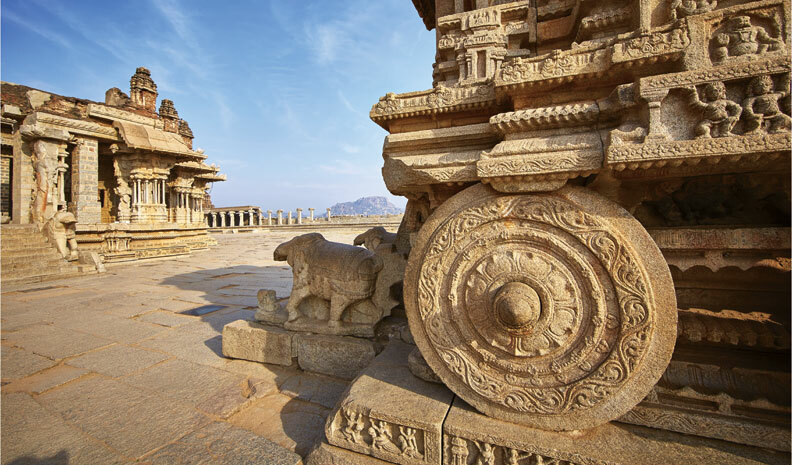 No visit to Hampi would be complete without a tour of the ornate Vittala Temple complex, where the stone structures are carved with impressive elaborate intricacy. Of Hampi’s wealth of attractions, it’s the sculpted Stone Chariot in the temple’s courtyard that’s the real crowd-pleaser. A shrine to the Hindu god Vishnu, it appears to be hewn from a single rock, but is in fact assembled from a few large blocks of granite, its joins carefully hidden. Circumambulate the complex and marvel at the immense skill of the sculptors who contributed to this astounding stretch of ancient civilization.